memcache without the mem? With Optane! 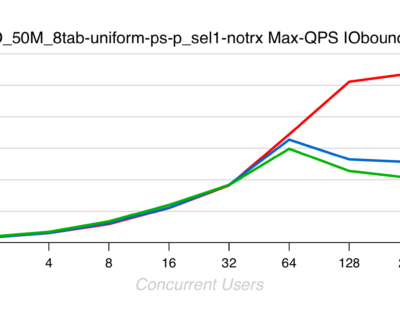 Selected Blog: MySQL Performance : 1M *IO-bound* QPS with 8.0 GA on Intel Optane SSD ! Today’s selected blog is from Dimitri Kravtchuk. Dimitri set MySQL to use with Intel Optane drives as the underlying disk store, and configured it to get to 1MM random I/O reads per second.